Yes, current Parkinsons Disease treatments help the first round of Parkinsons Disease symptoms. But they eventually "stop working," and here's why! That the Parkinsons Disease medication eventually will cause you to have more shaking and stiffness. Researchers discovered that many Parkinsons symptoms are NOT actually Parkinson disease symptoms, but rather, the side effects of the medications used as Parkinsons Disease treatments: Levodopa, L-dopa, or Sinemet. That’s right, the eventual jerky SHAKING, or "dyskinesia," is a drug side effect, often mistaken for later Parkinsons stages. Dyskinesia describes jerky "involuntary" movements, stiffness, and difficult "voluntary" movements. It then seems as if the Parkinsons medications are "no longer doing the job" and the disease is getting worse. But this is likely not the case. Consider that the meds have not just stopped working, or are "wearing off," which they in effect do. But rather, that the Parkinson Disease medication actually causes additional psychomotor and autonomic complications. It turns out that the by-products of the Parkinson disease treatments in turn cause problems. 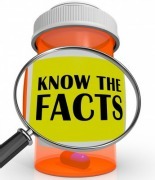 People who are older, or sick and move less, fail to eliminate the by-products of their medications. This causes a toxic build up so that new symptoms appear, including involuntary shaking! And yes, these effects can be prevented or lessened with natural supplements! Do Parkinsons Drugs Cause Parkinsons Symptoms? Yes. Parkinsons Disease treatments are effective, but eventually a patient’s condition worsens anyways. Many people die of resulting complications. Do the drugs really stop working? What's Missing in Parkinsons Disease Treatments? Dr. Abraham Hoffer and Dr. Harold Foster believe that there is a second step missing from current medical Parkinsons Disease treatments. They found that this “second set” of Parkinson's symptoms -- diminished voluntary movements and increased involuntary movements (Levidopa-induced dyskinesia) -- can indeed be delayed, reduced and even prevented. How? Even with medication, the situation worsens with the appearance of a "second set of symptoms," that according to Drs. Foster and Hoffer, "seems to result from the derivatives, such as the dangerous toxin dopachrome, that is produced by the breakdown of dopamine." As a result, slowly but surely, the L-Dopa increases these "secondary symptoms" until the patient becomes demented and often dies. How to Stop the Shaking? Stimulating the production of the body's protective detox molecule, glutathione, or GSH. “In addition to L-Dopa, the patient should always be given high doses of antioxidants and the pre-cursors needed to boost the production of glutathione." 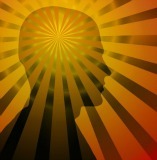 Unfortunately, taking a glutathione pill is not effective -- it gets digested and does not get to the brain. Even intravenous glutathione has its problems, and is not really effective. Boosting the brain's production of glutathione in the brain, can best be done by providing the nutritional building blocks. A natural supplement CLINICALLY PROVEN to boost glutathione and to cross the blood brain barrier. 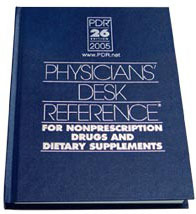 A supplement shown to be Neuro-protective and listed in the USA Physician's Desk Reference as a glutathione pre-cursor. Reports from people being helped by these supplements. "I had pretty well all of the Parkinson's disease symptoms," he said. Then he discovered the potential of glutathione among alternative treatments for Parkinsons. Here is what happened when a friend suggested he try a glutathione-boosting protein. Taking this protective supplement daily, gave Dr. Jack back his quality of life! Pills, Glutathione IV, Intravenous Glutathione Treatment for Parkinsons? Why try a neuro-protective protein supplement for Parkinsons symptoms? Why not IV intravenous glutathione injections or PILLS? Some neurologists will offer injections -- intravenous glutathione, or IV glutathione, but there is a problem. This has drawbacks because it is expensive -- and this gives UNDESIRABLE "highs and lows" rather than a sustained supply. In the longer term this is not effective. While glutathione pills are sold everywhere, these do not work, it does not get into the blood stream or brain, but gets digested. Taking the drug NAC to stimulate GSH has serious draw backs and side effects. Taking NAC can lead to a rare and serious disease called Amyloidosis, because NAC is stored in the brain. Nutrition: What's the Best Parkinsons Diet? What's best to add to your medical Parkinsons Disease treatments? People with Parkinsons disease will benefit greatly from exercise and a Parkinsons diet with high quality proteins such as fish, along with lots of fruits and vegetables. Why? Because "oxidative stress" is a big factor in the progression of Parkinsons disease symptoms. Anti-oxidants counteract "oxidative stress," one of the known Parkinsons Disease causes. 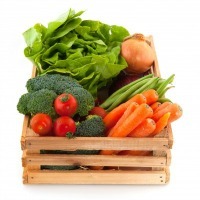 Antioxidants in food and supplements will help to SLOW DOWN MANY Parkinsons disease symptoms. Add brain health supplements, especially that boost the "master ANTIOXIDANT" glutathione, to prevent and even repair damage. Your Parkinsons Disease treatments will be enhanced and your life will likely be more fun! Why add Natural Parkinsons Disease Treatments? Why wait for the worst? You can enjoy life to the fullest by adding brain health supplements known to help with Parkinsons. Certainly, taking extra omegas with fish oil capsules helps the brain, along with other supplements shown to help. But because researchers found very low glutathione GSH levels in the brain stem of Parkinsons patients, you will get extra benefits from replenishing this protective molecule. 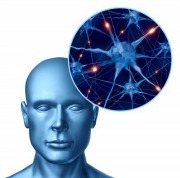 While waiting for a Parkinson cure, why not protect your brain and nervous system. You may be surprised. If you can prevent the dyskinesia caused by the medications, your own life and of your loved ones will be a lot easier and enjoyable. According to the findings of Drs. Foster and Hoffer, people can best improve their quality of life by adding a PROVEN glutathione Parkinsons disease treatment. Why not take the best care? Symptoms such as constipation, restless legs, sleeplessness, and shaking. Parkinsons early symptoms can be helped by increased strength and mobility and reduced Parkinson tremor, and slowing the disease. Being able to prevent Parkinsons Disease medication's eventual effects such as shakes, can give peace of mind and a more pleasant life! 1. Parkinsonism Relat Disord. 2009 Jan;15 Suppl 1:S3-8. 4. Low Glutathione and Oxidative Stress in Parkinson's Disease: A Systematic Review and Meta-Analysis. Front Mol Neurosci. 2018 Jul 5;11:236.